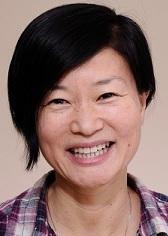 Sundance veteran So Yong Kim has returned for the 2012 Sundance Film Festival after a several-year break with her latest film, 'For Ellen.' 'For Ellen' stars Paul Dano as an aspiring rock star named Joby whose had a taste of success, but his fifteen minutes of fame are almost up. Pouring salt on the wound is his soon-to-be ex-wife. While losing his dream career, Joby is about to lose his wife and daughter, Ellen, also. 'For Ellen' takes you through a few heartbreaking days of Joby's life as he says goodbye to his career and his family. So Yong Kim took a few minutes out of her hectic Sundance schedule to tell me about her film, her inspirations, and how she landed Paul Dano for the key role. HDD – Luke Hickman: How has the festival been for you so far? HDD: This isn't your first time here, right? So Yong Kim: It's my second time. I believe I was here in 2006. HDD: What were you doing in the interim? So Yong Kim: Let's see. I made my second film, produced my husband's film, and had two babies. HDD: That will surely strip you of some time. So Yong Kim: (laughs) Oh, yeah. HDD: I really enjoyed 'For Ellen' and I'm curious to find out how much of it came from your own life. Or did you simply just write it all fictitiously? So Yong Kim: No. I'm not like that. (laughs) I find writing so difficult. I started with this memory I have of meeting my father for the first time. Because my parents divorced when I was very young, like a baby or something. I don't know what made me do it because I don't ever think about him, but at the specific time in my life [when I wrote it], I was going through a little crisis about being a parent. We'd had our first daughter and I kept feeling like I wasn't a good enough parent. Then I started feeling insecure about being a filmmaker. I used that memory as a starting point and put a lot of my own insecurities and anxieties and bad habits into the character. It's a very personal film for me because whenever I see the film, there all these habits and narcissism that Joby has that I must have too. It kinda triggers something within myself. HDD: And I think that's what makes it so good. It's natural and real. One of my favorite scenes is Joby's drunken jukebox rock star moment. From me to you, thanks for keeping the uncut moment in there. It's powerful. So Yong Kim: Thanks! He's up there by himself, it's sad, he's in a small town. HDD: It's an unforgettable scene – and Paul Dano pulls it off. How and why did you cast him? So Yong Kim: I was really lucky and fortunate that we have some personal friend connections. I worked with his girlfriend Zoe [Kazan] on his second film and I felt comfortable enough. It was really nerve-wracking to ask him, "Hey, would you read this?" He really responded to the script and we started talking about the character. It seems like, upon reflection, it was organic. HDD: This is the second film I've seen in two days where a child actor gives an amazing performance. HDD: No, but I hear the same thing about that one. The other one was 'The End of Love' by Mark Webber. So Yong Kim: I hear that it's amazing. HDD: The footage between him and his son is brilliant. And I have to say the same about the material with Joby and Ellen in 'For Ellen.' Was it hard to get a great performance out of Shaylena Mandigo? So Yong Kim: My second feature was working with two young ladies. They were four and seven when I was working with them. I found that working with children is just such an enlightening experience. Luckily, I had that experience before working on this film. We knew that we were going to shoot a lot of footage because there was a kid on set, so basically we tried to roll camera as much as we could on-set and set up situations where she felt very comfortable, where she could feel like herself. HDD: Is it difficult shooting with children? So Yong Kim: No. Actually, no. There are challenges, but they're different challenges compared to working with [adults]. I wouldn't call it difficult. You have to be more playful and be on your toes a lot. If it's not working, then you have to switch to some other tactic - but I think that's also the same for adult actors. HDD: How quickly did you shoot the film? So Yong Kim: It was 18 days. So Yong Kim: Yeah, we had to shoot a lot each day. HDD: Where did you shoot? Because it looks blistering cold. So Yong Kim: New York. It was a lot colder than [Park City, Utah]. I was nervous about screening it here because the audiences are coming in from the freezing cold and seeing this frozen landscape that makes then feel colder than they did outside. I don't know if it's working for the film or against it. HDD: If you were trying give it a frigid mood, then I think you served your purpose. You nailed it! So Yong Kim: (laughs) Great! HDD: So what's up next for you? So Yong Kim: I'm working on another film about family, but it's more of an ensemble of characters. It's about this mother and her relationship with her two sons and daughter. It's about her and her connections with them. HDD: I'm noticing a reoccurring theme involving family. Has parenthood changed you? So Yong Kim: Yeah – but you know what it does? Parenthood makes me more focused on what I really want to do and what kind of stories I want to tell. I'm really thankful because I feel like I'm learning so much from them and I hope it comes through in my films. HDD: Where are you at in the process with your next film? Are you working hard on it? Or will it be a while before we get to see it? So Yong Kim: Probably not. For me, the script tells me, "Ok. I'm ready." So, it's kinda getting close to that, but not quite yet. HDD: The reception of 'For Ellen' seems to be going strong right now. The fact that your Q&A before our meeting today went long is a testament of that. So Yong Kim: (laughs) Yeah. The theater staff literally had to push us out. (laughs) So far, both screenings have been fun. The questions have been fantastic, insightful and thoughtful – not the generic usual. It's been quite good. HDD: I'm embarrassed for the filmmakers when riffraff audience members ask silly questions. HDD: I'm the same way. I don't ask questions in public Q&As. I save them for the settings like this – conversation. I could chat with filmmakers like you all day long. So Yong Kim: Me too. I prefer this to a lot of people with their eyes on you.